It has been a year since Intel released their latest and greatest platform for mainstream desktop PCs. The 100-series platform was part of the 6th generation processor launch. Skylake brought with it a range of new features support and performance updates. The 100-series products were the first to utilize features such as DDR4, M.2, PCIe 3.0 SSDs and more. Today, Intel officially launches the 200-series platform. Designed to support 7th generation processors that are codenamed Kaby Lake, 200-series offers new features and updates in the form of Intel Optane support. I think the most important thing is that the boards themselves would be far more attractive than the processor series as they are more feature-heavy and offer plenty of reasons for consumers to upgrade. 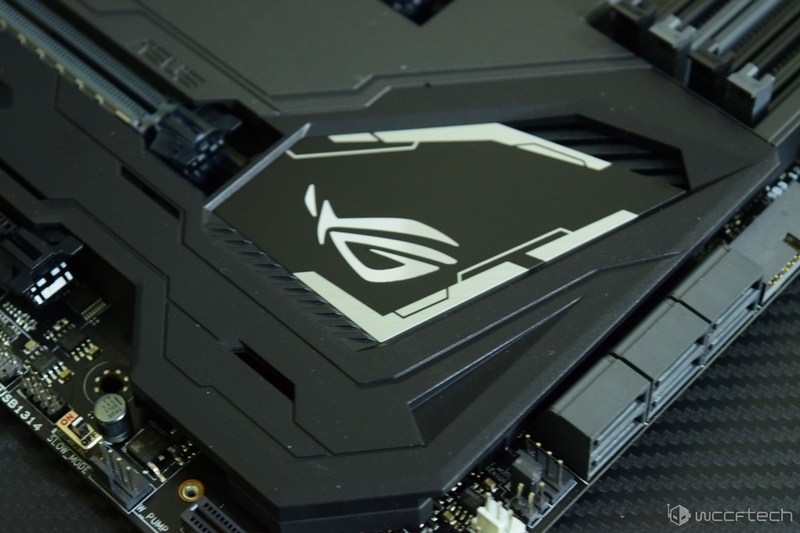 Republic of Gamers (ROG) announced a new Maximus IX Series ATX gaming motherboard – Maximus IX Code. The Intel Z270 chipset-based MAXIMUS IX CODE motherboard also features the LGA 1151 socket and supports Intel’s new 7th generation Core processors to give enthusiasts unmatched gaming performance. The two chipsets that will be offered with the new Kaby Lake processors are Z270 and H270. Intel will be offering support for the Kaby Lake and Skylake processors on both 100-series and 200-series motherboards. This means that consumers can use their Skylake chips on a 200-series board or a Kaby Lake chip on a 100-series board. The two new chips are marketed towards specific markets. The Z270 series is aimed at the consumer market while the H270 series is aimed at the consumer and corporate market. 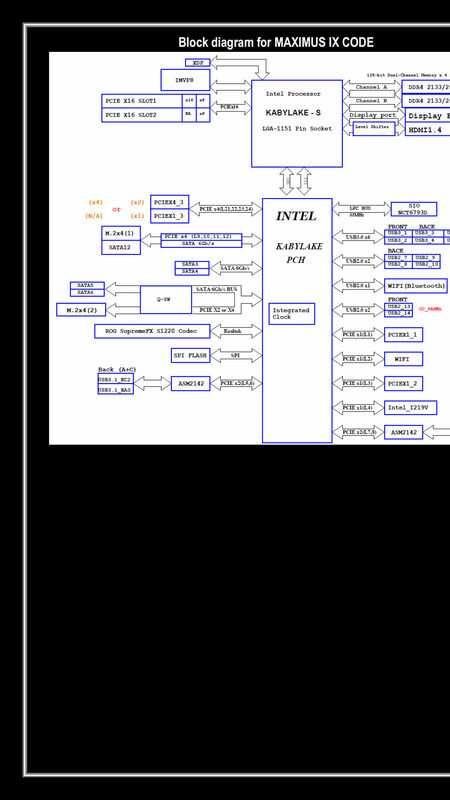 We will get on to the features of these chipset which is an update from the previous 100-series generation of products. Intel Z270 and Z170 offer the same CPU PCIe configuration support. They allow for 1 x 16, 2 x 8 or 1 x 8 + 2 x 4 config whereas the H270 and H170 chipset offers just 1 x 16 config. The total number of independent DisplayPorts offered by the PCH are three and power up to four memory DIMMs in dual channel mode. The Z Series offers overclocking support while the H Series is restricted from such support. All chipsets offer Intel SmartSound tech but Intel AIB partners will be offering their own custom audio codecs to power audio. Moving on, the new 200-series has official support for Optane technology which is not available on 100-series products. Intel Rapid Storage technology is also pushed to 15 (was 14 on 100-series). Some other features in the new chipsets include RAID 0, 1, 5, 10 support, PCIe Storage Drive support, Smart Response Technology and I/O port flexibility. Intel has increased the number of high-speed I/O lanes to 30 on both 200-series chipsets. The Z170 had 26 while the H170 had 22 lanes. Total USB ports have remained the same at 14 (10 USB 3.0) for Z Series and 14 (8 USB 3.0) for H Series. All boards have 6 SATA III 6 GB/s ports. Expansion slots are powered by 24 PCIe lanes on Z270 and 20 PCIe lanes on H270. This is a slight increase over 20 PCIe lanes on Z170 and 16 on H170. The KBL-PCH will be able to support Mansion Beach (Optane SSD PCIe/NVMe gen3 x4), Brighton Beach (Optane SSD PCIe/NVMe gen3 x4) and Stony Beach (Optane Memory PCIe/NVMe gen 3 x2 (m.2)) solutions. We covered this topic in more detail over here. 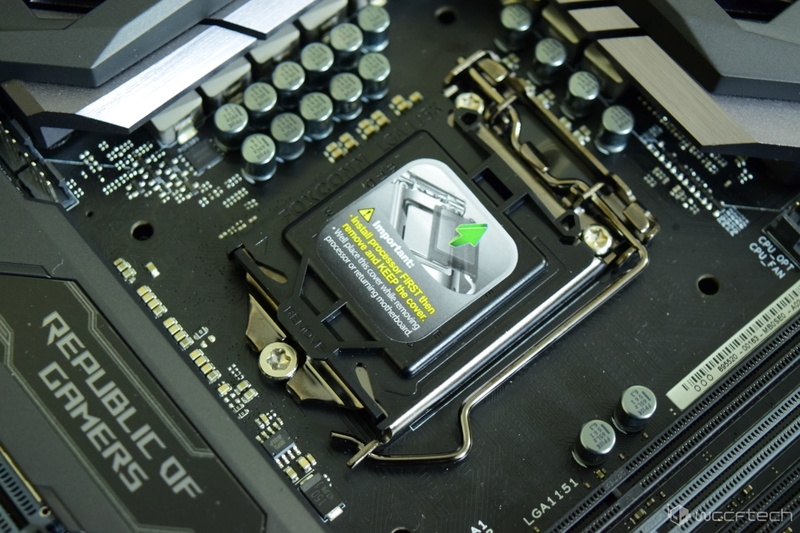 As last year, the 200-series boards feature the LGA 1151 socket. The socket is built to support both 6th gen and 7th gen processors. This allows 200-series boards to support both Skylake and Kaby Lake processors, making it easier for previous gen owners to upgrade. Intel did one thing right with the new socket and that’s the socket positioning which allows older coolers and mounting brackets to remain compatible with the newer socket. So if you have an old LGA 1150 socket cooler that you wish to use with the new LGA 1151 socket, it could be done, but do note that while the socket looks the same as the LGA 1150 socket, the processors are incompatible due to different pin layouts so you don’t want to try putting a Haswell processor into the LGA 1151 socket otherwise it would damage the pins permanently. While Haswell processors ship with their own boxed coolers and cooler makers providing retention brackets for LGA 1150 compatibility, it should be noted that Intel has stopped offering boxed coolers since the Skylake processor generation, so users have to purchase retail coolers for them. Intel does offer a separate boxed cooler but it will be a much better choice to get an AIB cooling solution since those offer better cooling performance. Older CPU coolers will remain compatible with the new socket and some manufacturers are providing updated retention brackets for the 1151 socket boards.